Tomorrow marks the second half of 2017—182 square days into the year and a prime moment to evaluate what pop culture goods have sprouted within two seasons. The bulk of that analysis (pie chart included) can be found in our favorite comics, artists and colorists of 2017 (so far). But covers deserve just as much attention; while an interior illustrator is afforded an average 22 pages to articulate a narrative, cover artists have to condense elements of plot, character and sheer soul in a single image. It’s not an easy thing to do well, nor for those illustrators to dream up two-dimensional innovations for the template. But damn if 2017 hasn’t assaulted our retinas in ways we couldn’t imagine, ranging from psychedelic homage to negative space and border manipulation and unconventional perspective shifts. The era of random mid-shot characters gazing into the “camera” has been dead for years, and 2017 continues to dance on its grave. 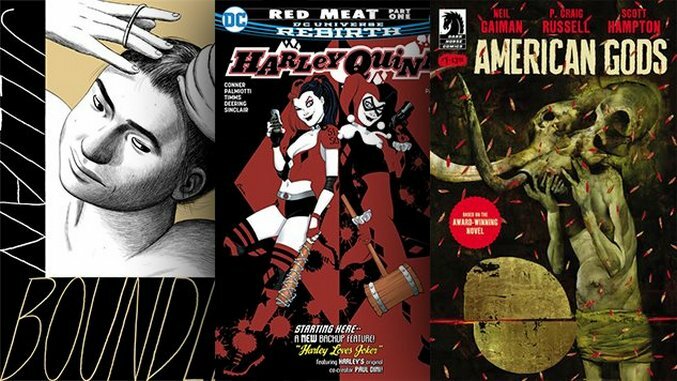 Check the gallery above for our favorite covers of ’17 so far, and come back for monthly doses of our favorite comic eye candy.